On Tibetan Plateau, A Sense Of Constant Surveillance These days, visiting Tibetan areas is a risky venture for journalists trying to cover the protest movement against Chinese rule, including a rash of self-immolations. But the dangers are far greater for those who talk to them. NPR's Louisa Lim recently traveled there and describes the challenges. 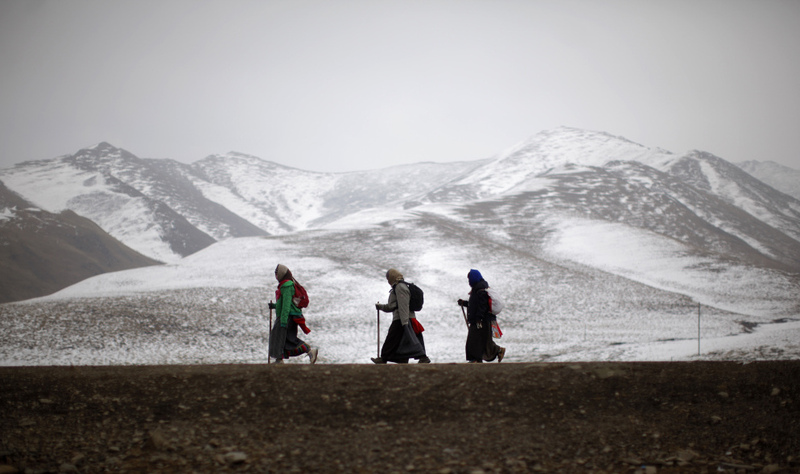 Ethnic Tibetan pilgrims walk on a road during Tibetan New Year in Langmusixiang, Sichuan province, in western China, Feb. 22. Celebrations are subdued in the Tibetan areas of China this year, after a string of self-immolations and protest against Chinese control. 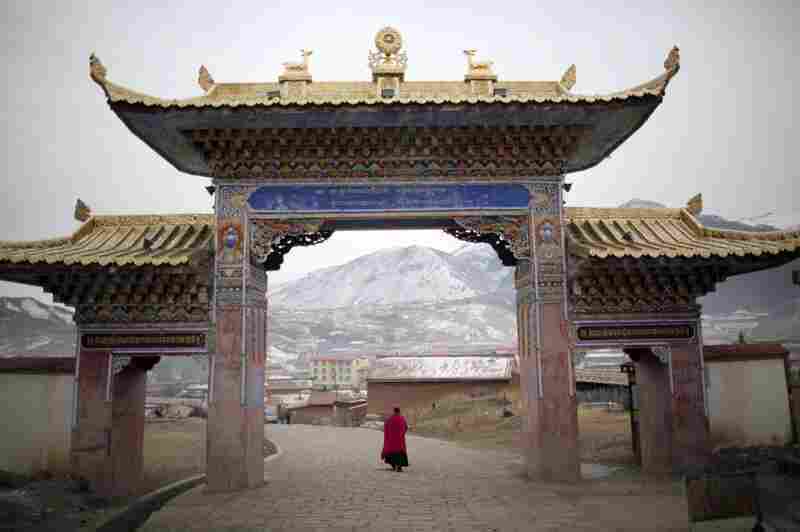 A monk walks under a temple entrance during Tibetan New Year celebrations in Langmusixiang, in China's western Sichuan Province Feb. 22, 2012.